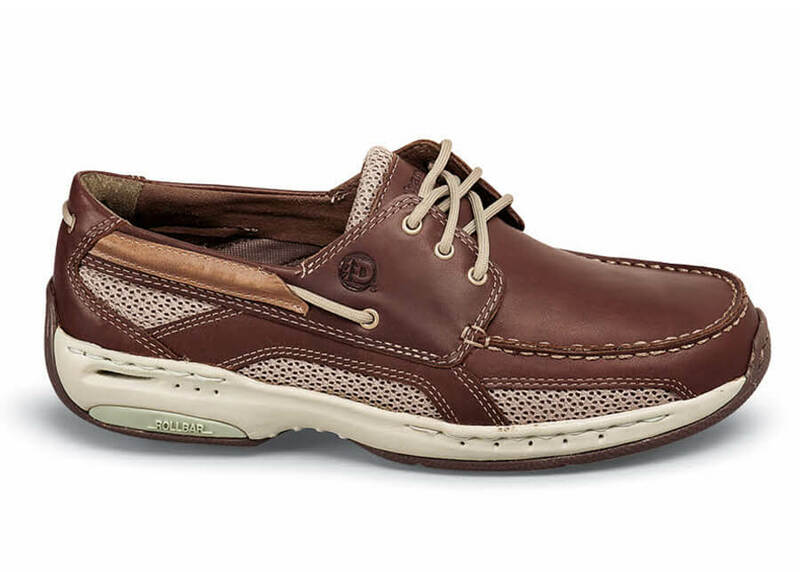 Dunham’s seaworthy three-eyelet boat moc has supple waterproof leather uppers, water-venting mesh sidewalls, a midsole drainage system that flushes water from inside the shoes and a non-marking, traction-boosting rubber outsole. 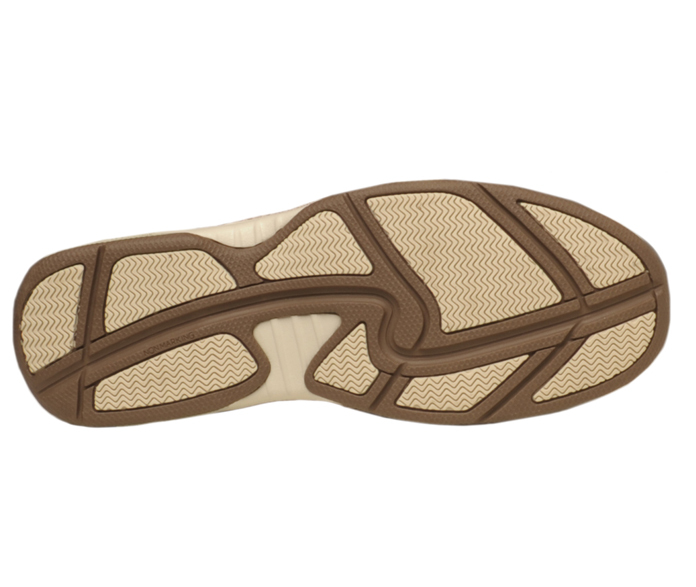 Dunham incorporates R-Bar® technology for rearfoot stability and motion control and a fiberglass shank for solid arch support. Men's sizes 7–12, 13, 14, 15, 16, 17 and 18 in 4E; 9–12, 13, 14 in 6E.